For-purpose organisations are faced with rapidly changing and challenging strategic and operating environments. Major public service reforms such as the NDIS, Aged Care, Social Benefit Bonds and outcomes based contracts are driving substantive change and significant growth. Many for-purpose organisations have recognised that their current operating models are no longer fit-for-purpose and that organic incremental change is inadequate. There is, therefore, an imperative to implement change – the “Transformation Imperative” – substantive changes relating to your operating model that more effectively harnesses the value of your people, improves business processes, and utilises the significant benefits of technology and big data. This 60-minute webinar provides insights on designing and implementing a successful transformation that achieves operational excellence and the future proofing of your organisation. 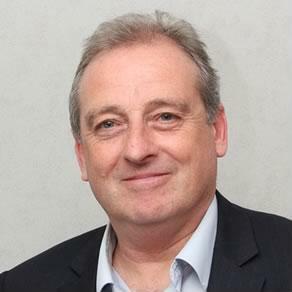 Les has over 30 years of experience advising for-purpose organisations, government and business. He is a leading expert in organisational performance, social innovation and public service reform. Les specialises in helping organisations jointly achieve social impact, operational excellence and financial sustainability. His areas of expertise include – strategy, operating model design, service design, social impact measurement, social impact investing, outcomes-based contracting, place-based mechanisms and organisational capacity building. Les has advised a range of organisations operating in the fields of disability, family and children, homelessness, social and affordable housing, Indigenous communities, youth justice, aged care, mental health and suicide prevention. This webinar is brought to you in partnership with Deloitte.